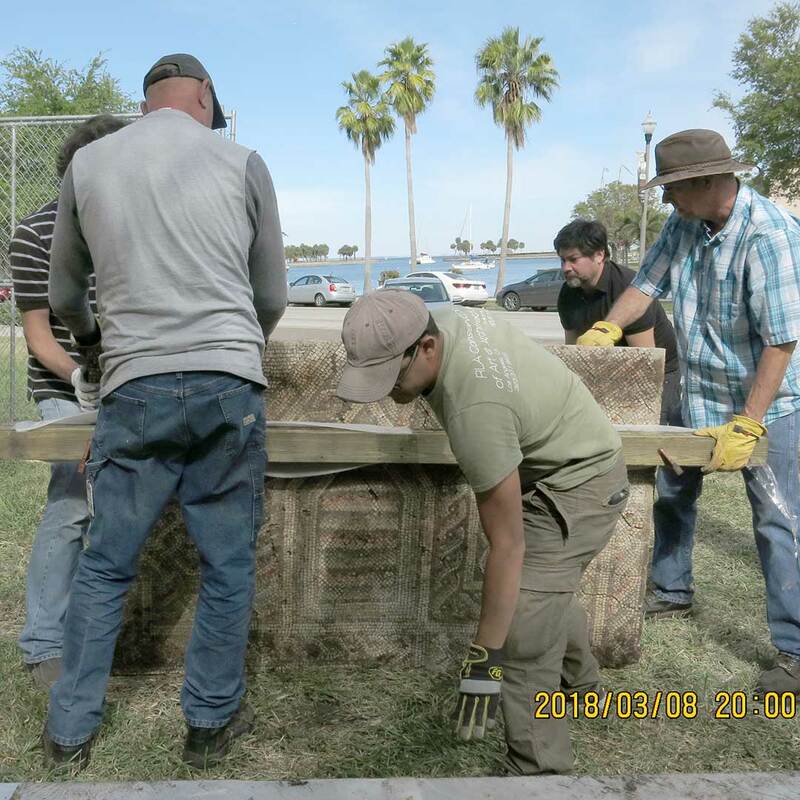 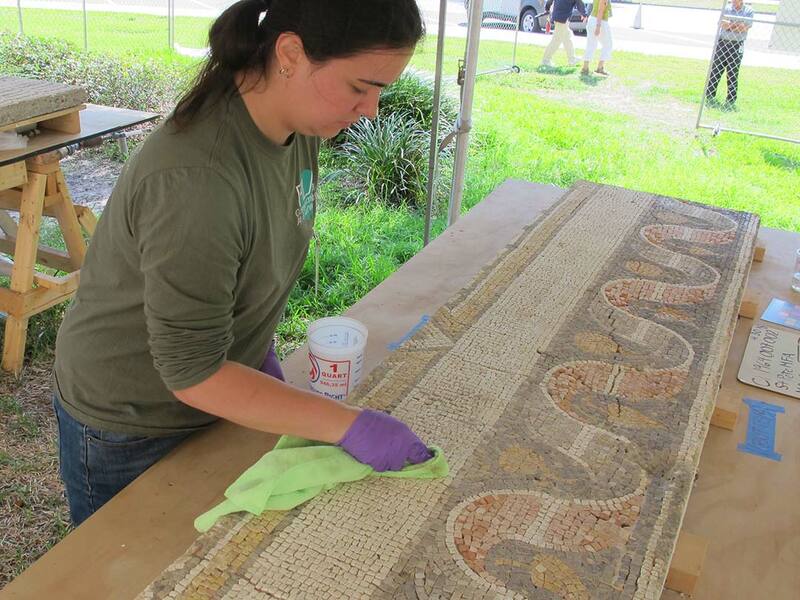 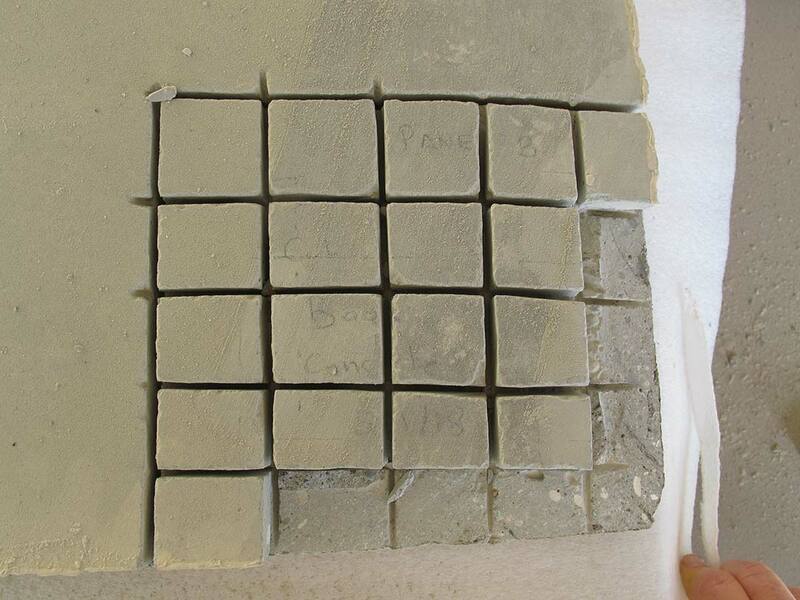 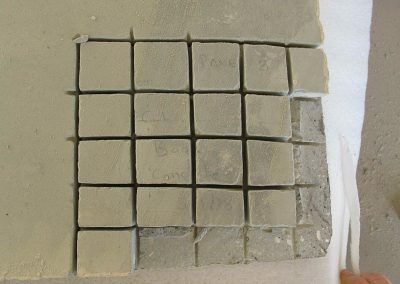 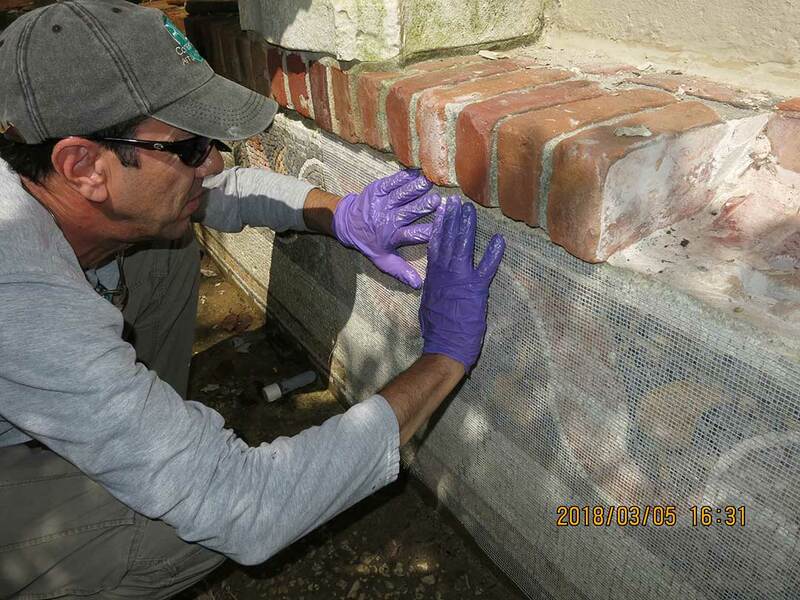 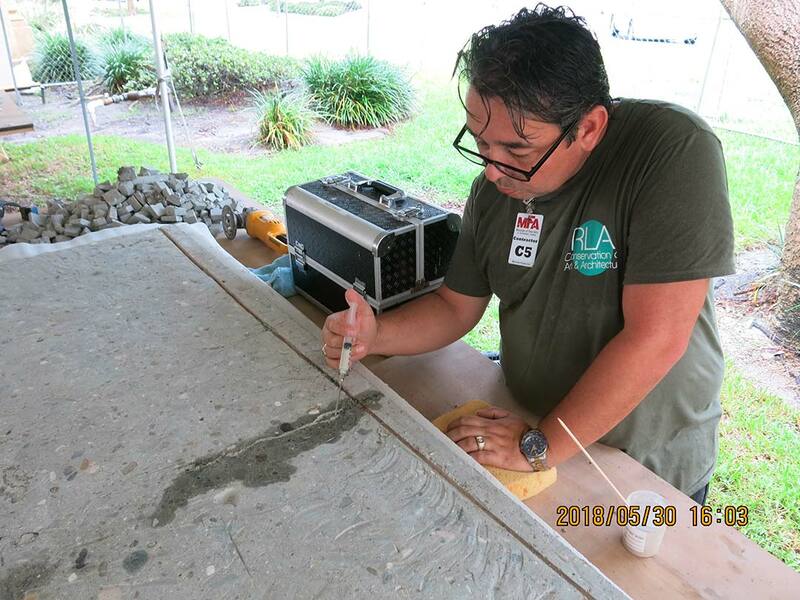 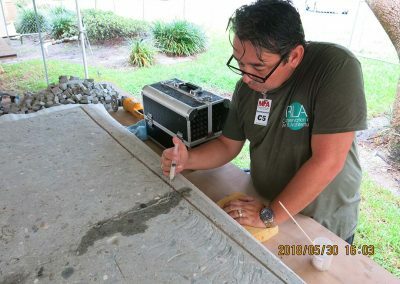 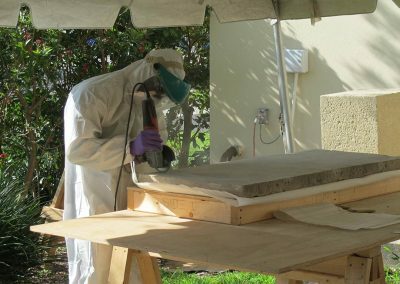 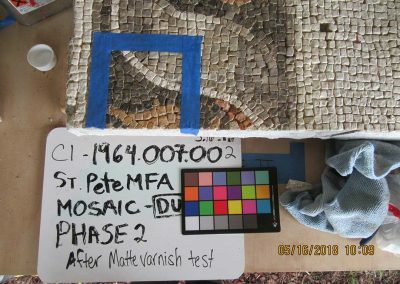 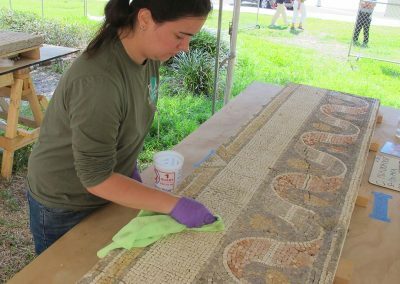 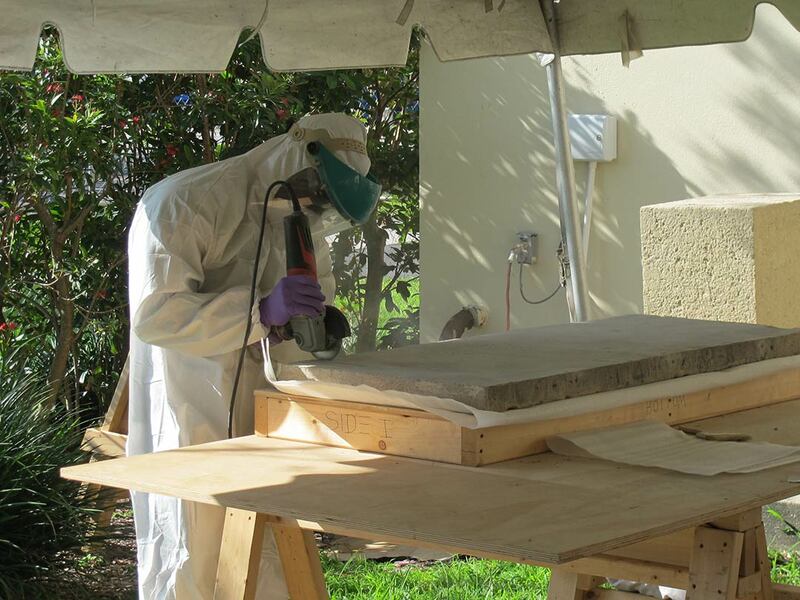 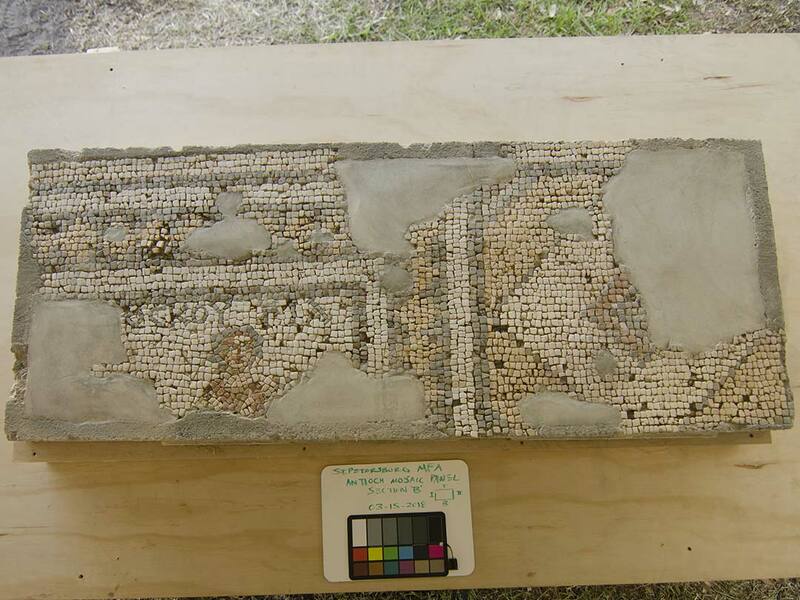 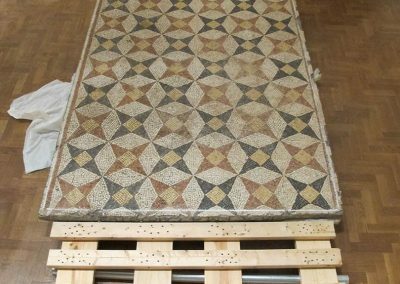 RLA was tasked with the conservation of six (6) buried mosaic panels at the Museum of Fine Arts St. Petersburg, Florida. 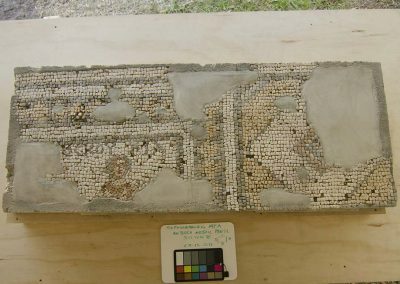 The mosaic panels are from the archaeological site of Antioch in Turkey, one of the great cities of the Hellenistic and Roman worlds, and date from 100-200 C.E. 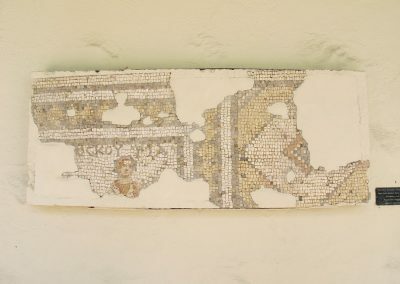 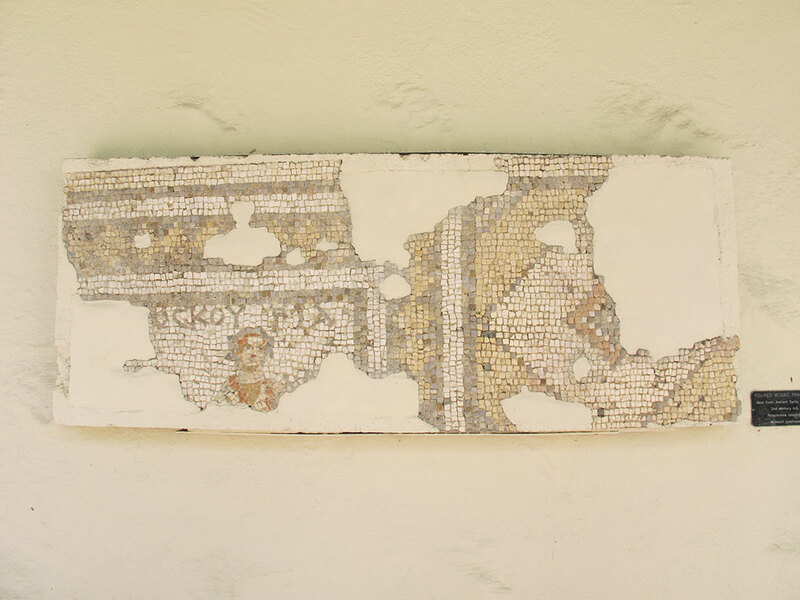 Part of a cache of 300 mosaic works excavated during the 1932-37 archeological expedition to Antioch conducted by a consortium by Princeton University, the mosaics were later distributed to other institutions, including the Worcester Art Museum, the Virginia Museum of Fine Arts, and the St. Petersburg MFA. 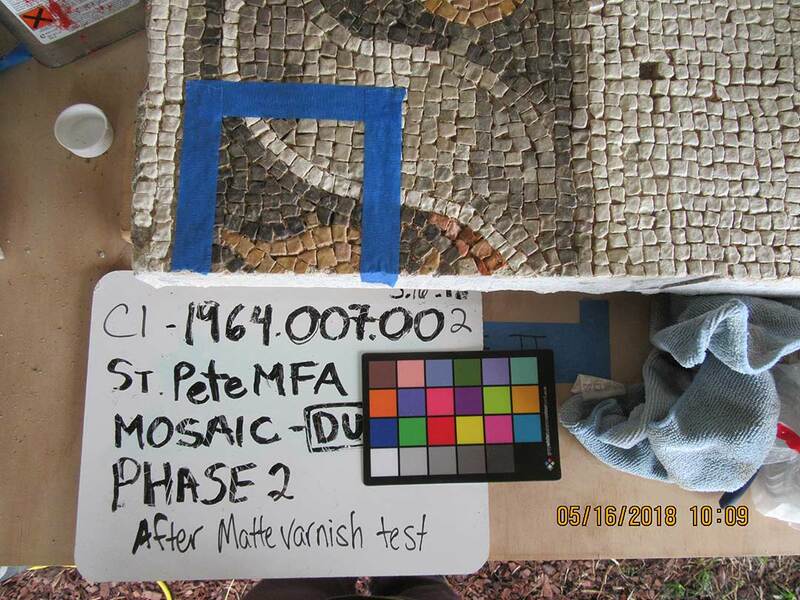 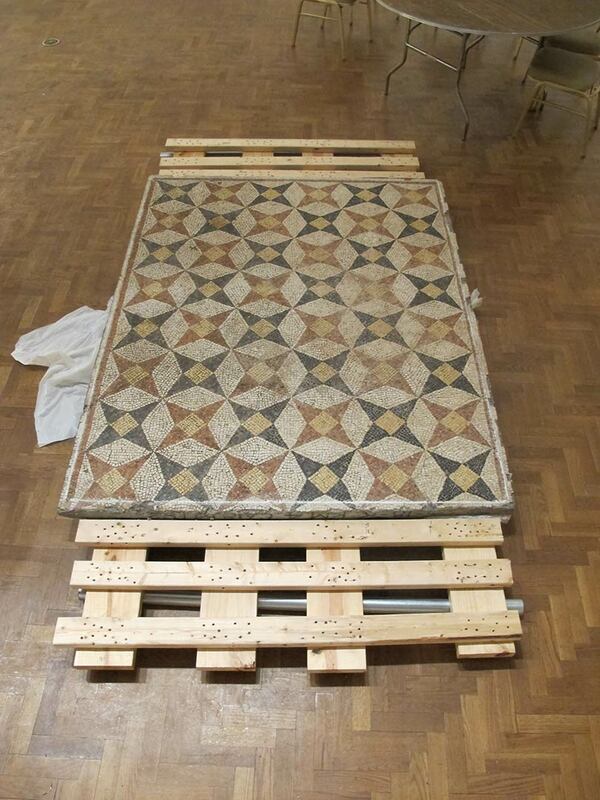 As was typical in the 1930s, the mosaics were backed by 2″ of thick concrete. 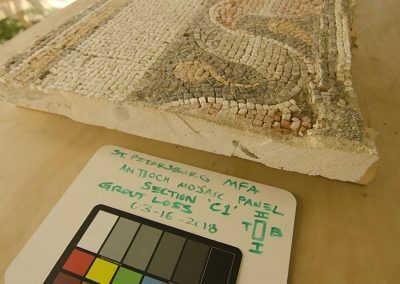 Three of the mosaics were buried in the ground on the west side of the Museum and needed to be excavated carefully to determine their position without damage. 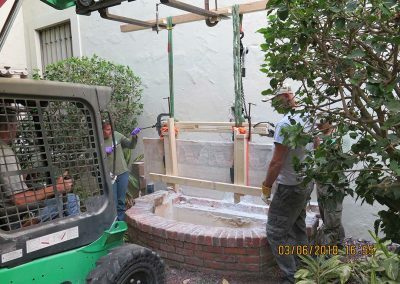 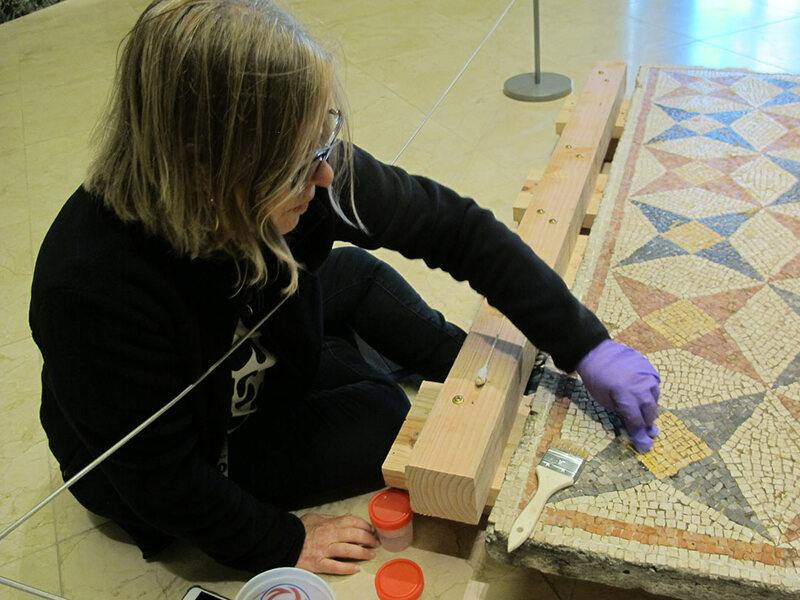 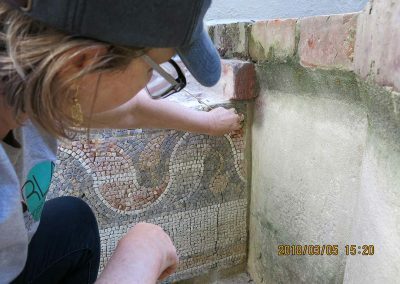 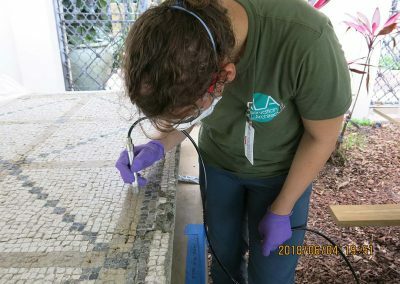 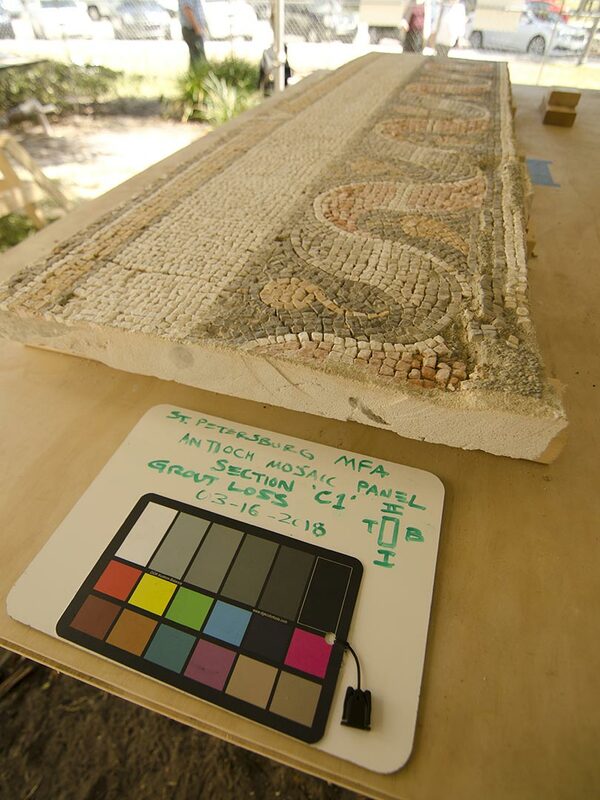 RLA worked with the museum to excavate the mosaics and remove two others from permanent display in the museum courtyard as the first step of a multi-phase project that is being conducted in public view. 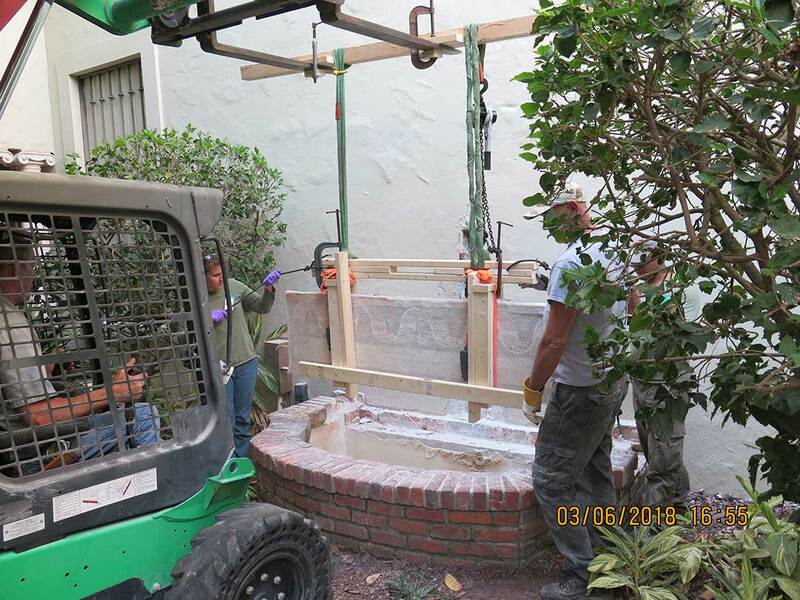 A key component of the project is to reduce the concrete backing and install the mosaics on lightweight, specially engineered aluminum honeycomb panels. 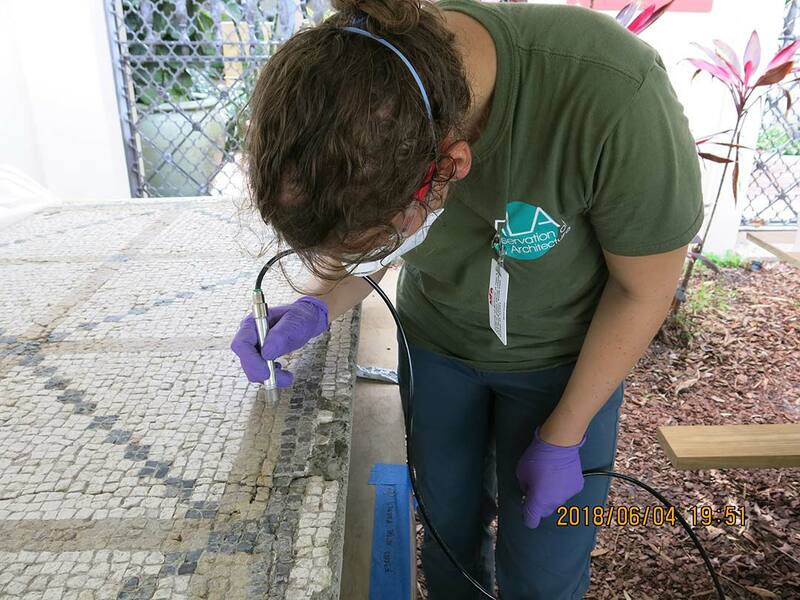 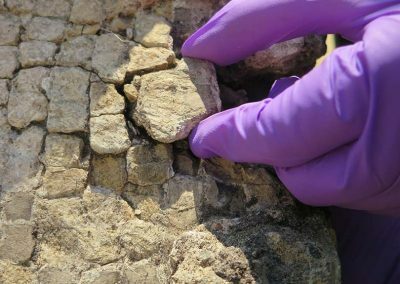 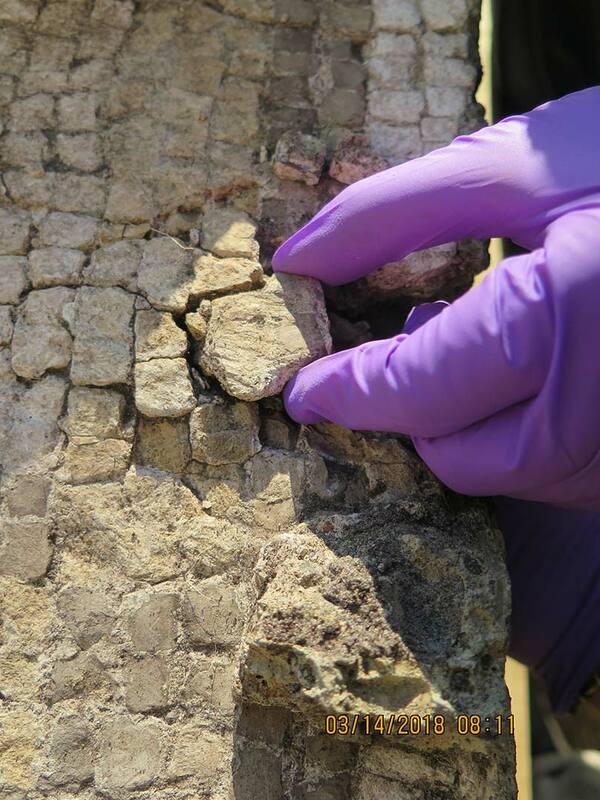 Conservation is also addressing cracks, staining fungal growth, general fading, and damage to mosaic tesserae.